Normally I don’t do this, but I’m going to start the review by commenting on how remarkable the graphics are. Not only does everything look like it’s made from clay, but everything is squishy and malleable as well. Everywhere you roll, you’ll make imprints, and the longer you stay in one place, the deeper the imprint will be. It even takes some getting used to just to look at it! Also, clay ‘water’ is even more malleable than regular clay. And you know how when you play with Play-Doh, and you mix two colors together and bits stay stuck together on another color even when you pull them apart? Well they do that in the game, too. It’s a really neat effect! Anyway, you play as a round lump of clay and roll around mazes like Marble Madness or Super Monkey Ball. As you roll, you’ll have goals you need to reach. Sometimes it’s getting to a certain spot, and sometimes you must empty a bin full of clay water, ‘eat’ all the clay chocolate in a level, and more. There can be multiple goals per level, too. You get stars depending on how well you perform each goal in a level. Stars unlock new stages as well, so you’ll want to get as many as you can! You have several abilities that will help you reach those goals. By pressing buttons on the D-pad, you can morph from a ball into a cube, disc, or cylinder. Doing so will help you squeeze into certain spots or climb slopes easier. By pressing the Y button near certain objects, you can ‘possess’ them and play as them. Playing as a bigger square, for instance, will help you cover more ground. By pressing the ZR and LR buttons, you can do more important things. One button rewinds, in case you made a mistake. But it’ll only rewind where you are. It’ll also leave an impression of your character that’ll stay there, which you can then use as a stepping stone. The other button ‘carves’ into the clay, which is handy if you need to make a hole in something or ‘eat’ chocolate clay. The game sounds neat so far, but it does have a few problems. I’ve always had a tough time with physics-based puzzlers, as just being slightly off can ruin the whole level. Breath of the Wild players probably know what I’m talking about. Camera angles can sometimes be problematic, and goals can be a little unclear at first. The tiny text doesn’t help matters, and makes it really hard to play in handheld mode. Also there are only 16 levels, and they are really small. Like they fit on an in-game table. Granted it’s hard to get all the stars in each level. You can create your own stages and upload them online to share with others and try other players’ stages as well. But the editing tool is hard to use and they don’t explain very well how to do it, and from what I can tell, there wasn’t much room for creativity with all the pre-made items. I wanted to make a Pac-Man maze but I don’t think I could. Anyway, I’d like to see this game engine improve and be used in other clay-based games. 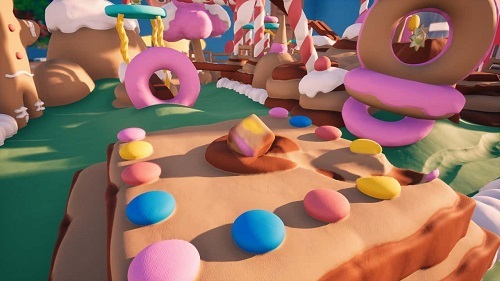 Wouldn’t it be cool to use this same kind of clay game engine with a new ClayFighter game? There’s a series due for a revival. What do you think? Nothing violent or objectionable here. Reading skill is a must for the text, and younger players may find the game too difficult and frustrating. 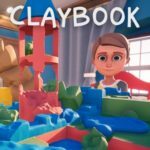 Claybook is rated E for Everyone.